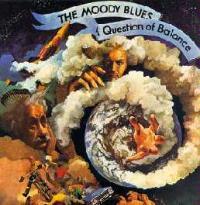 The fourth album released by the Moody Blues between 1967 and 1972, A Question of Balance was the first album by the Moodies that didn't have any sort of coherent theme to it. It was still an influential album. So much so that a college friend of mine, an undergraduate at the time, was determined to use that title as part of her dissertation title. Damned if she didn't do it, too. The album, though, is a balance of different moods and musical styles that was the trademark of the Moody Blues in that period. The songs are more acoustic based than on previous albums as the band tried simpler arrangements to make them easier to play on the road. The personnel at the time was: Justin Hayward, guitar and vocals; John Lodge, bass and vocals; Mike Pinder, keyboards and vocals; Ray Thomas, woodwinds, percussion and vocals; and Graeme Edge, drums and vocals. This song is a curious pick for the single off the album. First off, at 5:43 it's a bit lengthy for top 40, and it's really two songs in one. The opening and closing features the rapid-fire acoustic strumming of Hayward, punctuated by the "ka-BOOM" mellotron blasts. 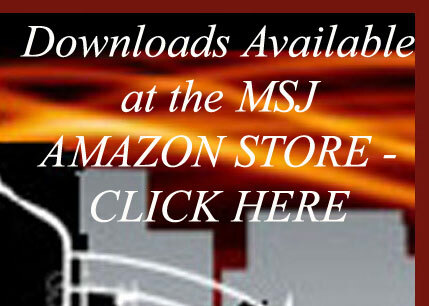 The middle part is much slower and more melodic. After the middle segnent, the rapid acoustic strumming picks up again, and the mellotron blasts reappear. The song fades out in mid-verse. This was the first Moody Blues album that didn't start with a spoken piece, but it gets the album off with a blast. Ray Thomas penned this number, inspired by an argument he had with his wife at the time. It's a delicate song in places, marked by Hayward's intricate finger-style acoustic guitar and Pinder's harpsichord during the choruses. Thomas' resonating tenor is the perfect vehicle for this song. The song, curiously, ends a bit abruptly on the verse instead of the chorus. A treatise on humility from Graeme Edge. Unlike his other contributions, which featured spoken poetry, this has a melodic line to it that is matched by a whispered voice. Lodge contributes with his trademark falsetto harmonies, and Thomas' lead on flute is top-notch. To show how balanced the album (and the group) was, this song by John Lodge made the album 5-for-5 - five songs, five different writers. This is a driving number that takes a look at the old Aesop's fable, but the refrain is a rather cryptic "It's all right." Hayward's electric guitar solo is typical Hayward - very fluid, very melodic. This is an upbeat rock number from Hayward. Nothing really stands out from this number, but the melody is still very catchy, the lyrics optimistic, and the guitar's tuneful riffing anchors this song. This is about the most electric piece on the album, but still nowhere near the electricity of other Moody compositions such as "The Story in Your Eyes" or "I'm Just a Singer (In a Rock and Roll Band)". Written by Lodge, this shows the band at its harmonizing best. The instrumentation takes a back seat to the vocals during the verses, and the chorus has some simple guitar fills. Thomas' flute stays in the background as well, but takes the lead at the song's end with a two-note riff. Perhaps a better choice for the album's single, this mainly acoustic track shows Hayward's ability for writing wonderful ballads. The verses start gently enough, peaking at the last line of the verse. The bridge packs more punch to it with the mellotron, and Hayward's voice is at full throttle. The song then goes back to the verse, and the final line - "Listen, we think we have found you" - is repeated to the cut's fade. There are one or two places where Hayward's fills on acoustic guitar are stunning. One of Pinder's best writing efforts, this is a strong number. It's a slow, dark song with a descending melodic line through the verses, and though the lyrics are quite strong, they deserve a close listen, and even then they leave themselves open to the listener's interpretation. Co-written by Edge and Thomas, this number features a spoken verse of a man who finds himself under an tree and contemplates about his lot in life and the people he has encountered. The lyric poem holds a message that is true today. All five members sing on the syncopated chorus, and different members get little vocal fills between the lines of the chorus.